UNITED NATIONS, Jun 25 2015 (IPS) - Participation, political and economic empowerment, inclusion, accessible technology and infrastructure as well as indicators for meaningful implementation are among the key issues persons with disabilities want to see reflected in the Sustainable Development Goals (SDGs). 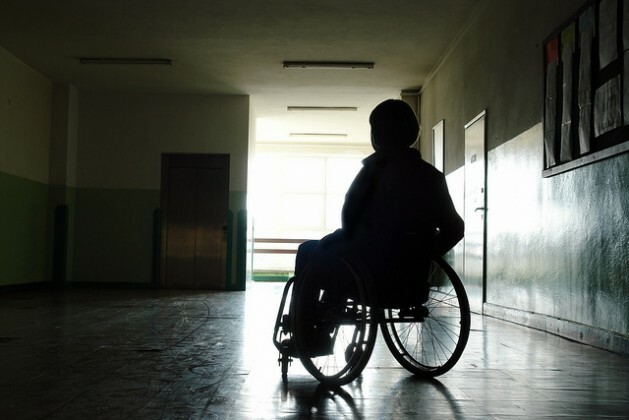 In light of the ongoing negotiations on the post-2015 development framework, people with disabilities are calling upon governments to put an end to exclusion and discrimination by making persons with disabilities and their rights more visible in the SDGs. Rachel Kachaje, Deputy Chairperson for Development and Under-Represented Groups at Disabled People’s International (DPI) in Lilongwe, Malawi and former Malawian Minister of Disability and Elderly Affairs, told IPS: “I would want to see the SDGs turning persons with disabilities into productive citizens in their respective countries. “It pains me most of the time seeing persons with disabilities struggling to be recognised in society,” she said. Rachel Kachaje knows what she is talking about. Struck by polio at the age of three, she lost the use of her legs. As her family could not afford a wheelchair, mobility challenges significantly complicated her primary and secondary school education. When she had finished school and was unable to attend university, finding a job proved very difficult at a time when companies refused to hire persons with physical impairments. Yet, in the end, due to her hard-working spirit and encouraging family environment, Kachaje managed to overcome these challenges and steadily moved up the career ladder, culminating in her appointment as Malawian minister of disability. The personal story of Rachel Kachaje illustrates how existing physical, societal, educational and professional barriers often prevent persons with disabilities from attaining their real potential and fully participating in society, while positive empowerment and encouragement can have important enabling effects. Empowerment of persons with disabilities is indeed one of the core demands the activist enunciates. Speaking to IPS, Kachaje emphasised the importance of facilitating access to education as a “master key that unlocks all doors to life” and providing livelihood to allow for agricultural activity and food security. Apart from that, she said, health care services, social activities and greater involvement in politics are steps that will help persons with disabilities who are struggling to become fully productive citizens. As pointed out by the activist, considerable progress has taken place in Malawi in terms of inclusive education and economic as well as political empowerment. “Schools are being made accessible, special needs teachers are being trained. There are still a lot of challenges but still something is being done and political will is there to make education inclusive,” she said. Two weeks ago, measures to overcome exclusion and mainstream the rights of persons with disabilities across the sustainable development agenda were discussed at the Eighth Session of the Conference of the States Parties (COSP8) to the United Nations Convention on the Rights of Persons with Disabilities (CRPD). The focus of this year’s conference was on poverty reduction, equality and development. As underscored by many speakers, disability and poverty are interrelated, which is due mainly to discrimination and lower education and employment levels. A few days ahead of the conference, the zero draft of the outcome document for the U.N. Summit to adopt the post-2015 development agenda was released. In this context, many participants deplored that persons with disabilities were not specifically referred to in the first SDG, aimed at ending poverty in all its forms everywhere. According to Venkatesh Balakrishna, honorary president of the Community-Based Rehabilitation Global Network, “being invisible from the goal means being invisible from the benefits”. He called upon governments to explicitly mention persons with disabilities in the first SDG and add specific targets and indicators. “Give hope to millions of people. Please use your pen for justice,” he urged. Yet, compared to the Millennium Development Goals (MDG’s), persons with disabilities have gained visibility in the zero draft document. On the other hand, she said, there were still shortcomings in terms of accessible technology and concrete indicators to measure implementation. Also, more emphasis need to be put on active participation and involvement of persons with disabilities. Throughout the conference, participants stressed the fact that inclusion should not be seen as charity, but as an investment in society that will generate economic benefits and improve life for everybody. “We can no longer afford the cost of exclusion,” said Catalina Devandas Aguilar, Special Rapporteur on the rights of persons with disabilities, with an eye on the lost economic potential due to the exclusion of children with disabilities from school and ongoing labour market discrimination. Speaking about future challenges, she emphasised the need to translate the provisions under the convention into legal action on the ground, provide persons with disabilities with accessible services, including accessible infrastructure and better social protection, collect data, set concrete targets and indicators and support the creation of institutions. According to her, the ultimate goal is the full participation of persons with disabilities in community life. These points were repeatedly raised by almost all participants, demonstrating remarkable consent on the steps that need to be taken. This gives cause for hope that further concerted procedures will increase the visibility of people with disabilities in the post-2015 development framework and steadily make the implementation of the CRPD a reality.